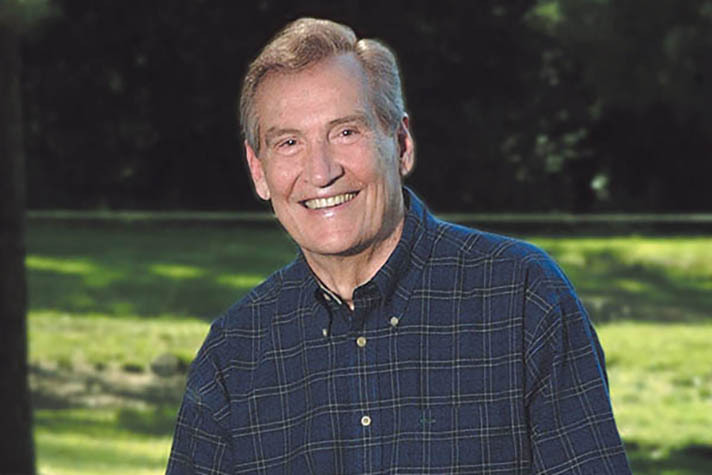 "Our highest allegiance is to God, but we have a duty to our country as well," wrote the late Adrian Rogers. Our government is a government of the people, by the people, and for the people. We are some of “the people,” and we are to participate in our government. Jesus said to give to Caesar the things that belong to Caesar and give to God the things that belong to God (Mark 12:17). If you do not participate in your government, you have not rendered to your Caesar the things that belong to your Caesar. If, for example, you do not vote—if you do not inform yourself—in my estimation, you have disobeyed the Lord Jesus Christ. It is inconceivable that God would have ordained human government and then tell His people to stay out of it. If that is true, who does that leave to run it? 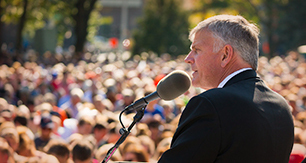 We’re not to force our views on anyone else, but we should be persuasive in what we do. Our government is a democracy, and America is based on public opinion. May I tell you, the only hope for America is to change public opinion? Do you know the only thing that can change public opinion? The Word of God. We have to get the message of the Bible out there. We are not going to out-argue anyone. They are blind and don’t see it. They need to know Jesus Christ, and they will find Him in the pages of God’s Word. We are supposed to persuade our people. We are to be taking them back one at a time and winning souls to Jesus Christ. I’ve been to Rome. The Colosseum would seat 50,000 people. They would put the Christians in the Colosseum and make them fight with gladiators and redden the mouths of lions with their blood, and it was for entertainment. Caesar would be looking down upon those people in the Colosseum, but underneath it were the catacombs. In those subterranean tunnels, Christians would huddle together to worship. It seemed there was not a chance on this earth that those Christians hiding under the Colosseum could have done anything at all about what was going on up on the surface, but those folks started a spiritual revolution that turned that whole thing upside down. It caused a mighty revival that brought the empire crashing down and exalted the name of the Lord Jesus Christ. I want to be like those in the catacombs who said, “Lord, You alone are God. We have no king but Jesus.” That’s where the power is. It’s not political influence that we need. It is the power of God that we need. Our hope is not in government; our hope is in Almighty God! ©2016 Love Worth Finding Ministries (LWF.org). Taken from the booklet Christian Citizenship, by Adrian Rogers. Rogers (1931-2005) served as pastor of Bellevue Baptist Church, in Memphis, Tenn., for more than 30 years.